Chicago Bulls player Dwyane Wade's cousin was fatally shot in his home city of Chicago on Friday, shortly after the player left the Miami Heat for what was supposed to be a joyous welcome back. The death of Nykea Aldridge, a 32-year-old mother of four, is a terrible tragedy that, according to Wade's mother, Jolinda, the family wishes they didn't have to address in the media. But count on Donald Trump to use Wade's tragedy as a political ploy the day after the tragedy. According to NBC Chicago, Aldridge was pushing a stroller around the South Side of Chicago on Friday afternoon. Two males approached another male and opened fire, killing Aldridge. It's unclear if she was the intended target, or was simply caught in the crossfire. She was quickly identified as Wade's cousin. Wade addressed her death in a tweet on Friday night: "My cousin was killed today in Chicago. Another act of senseless gun violence. 4 kids lost their mom for NO REASON. Unreal.#EnoughIsEnough"
The Republican nominee tweeted on Saturday morning that somehow Aldridge's death is linked to his voting odds with African-Americans. 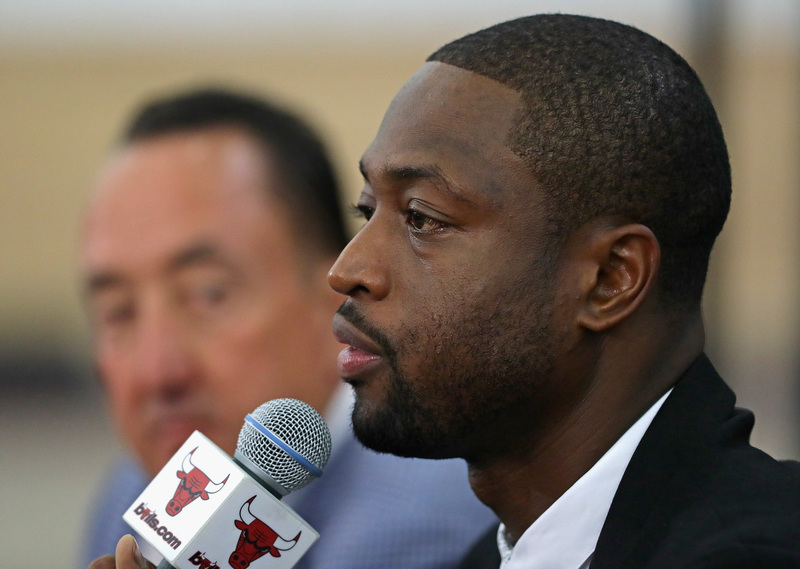 "Dwayne Wade's cousin was just shot and killed walking her baby in Chicago. Just what I have been saying. African-Americans will VOTE TRUMP!" the candidate wrote. Just in case you were thinking that this could somehow be construed as anything but political, look a little closer at the tweet. He didn't even spell Dwyane Wade's name correctly. Chicago, and particularly the South Side of the city, has dealt with gun violence for a long time. It's something that Wade has addressed publicly before, but not in the way Donald Trump is interpreting it. Trump, has recently said that African-American voters' lives "cannot get any worse, and believe me, I'm gonna fix it," and has projected that he can turn his single-digit polling with black voters into 95 percent of the vote in a 2020 reelection run. It's unclear how Trump plans to do this, considering that the bulk of the problem — gun violence — is something that he has said "isn't a problem." What is clear, however, is that Trump has absolutely no scruples about using a black family's pain as evidence that they should vote for him. I would say that this time he's gone too far, but I think that he reached that point a long time ago.